Hi Huns! If you follow me on Instagram @larylarxx then you’ll know that I went to Disneyland Paris a few months ago for my birthday and I got engaged there! So after reminiscing about how amazing my last trip to Disneyland was, I thought I’d give you all my top 10 tips for visiting the most magical place on earth! 1. Buy your tickets before you go – Honestly, book your Disneyland park tickets before you go! It’ll save you a lot of money as it’s a lot cheaper to book your tickets online beforehand instead of paying at the gate. The last time I was there, paying at the gate cost around £80 for a one day ticket, but if you book online from attraction tix it’ll cost you £43. That’s almost half the price, which means more money to spend on yummy Mickey Mouse shaped snacks and Minnie Mouse ears! Win win. 2. Disney illuminations – Don’t miss it! It’s an amazing show. If you want to get a good view of Disney illuminations make sure to get there at least half an hour before it starts or even an hour before if you can. People start queuing about an hour before and when I say queuing I mean everyone sits on the floor in front of the castle waiting for the spectacular fire works to start… Ahh its amazing! If you get the chance to be at the front, then make sure you do! We got there early and sat at the front and it was just perfect. 3. 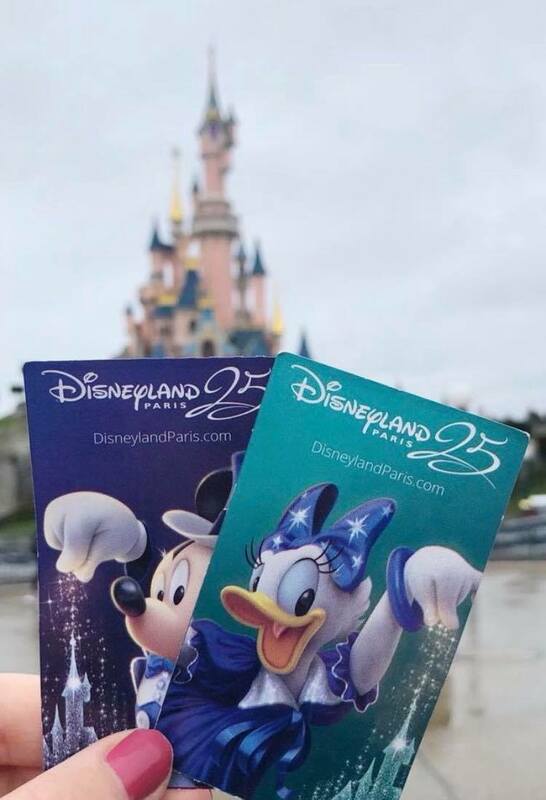 Use your fastpass ticket – Everyone has access to it and its super handy! Choose the ride that you’d like to use your fast pass on, scan your park ticket and it’ll print you off a fast pass ticket with an allocated time for you to come back. You then go back to that ride at your allocated time and skip the queues. Yay! 4. Wear comfy shoes – Seriously, wear some comfy shoes! Of course we all want to be strutting around Disneyland with beautiful shoes to impress Mickey and Minnie Mouse but trainers are the best option. You’ll spend most of your day walking around and by the end of the day your feet will be aching and sore. 5. Go to Disney Village – Disney Village has lots of shops, restaurants and a sports bar. It also has McDonalds and Starbucks. Eating at Disney Village can be cheaper than eating in the park. 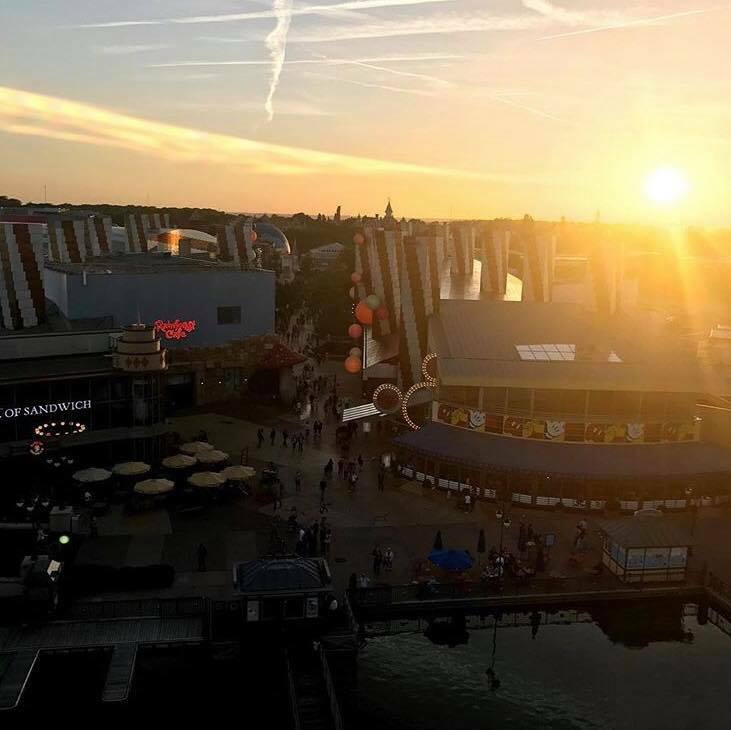 You don’t need a ticket to enter Disney village and its a great way to spend your evening if your not in Disney. There are a lot of amazing restaurants and if you get the chance I highly recommend eating at Annette’s Diner. Although, queues can be all the way out of the door so book a table beforehand if you can! 6. Stay at a Disney on site hotel if you can – If you get the chance, stay in one of the Disney hotels! 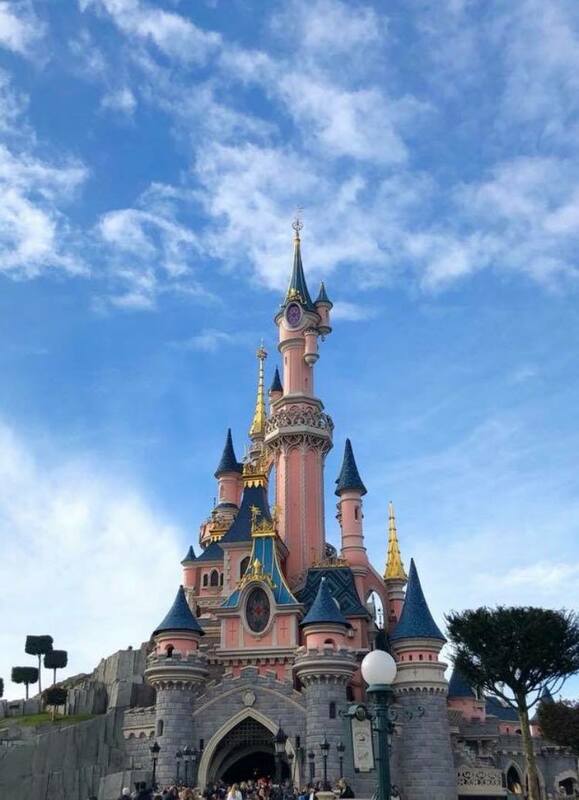 There are many perks of staying on site such as extra magic hours, where you will get access to the park before it opens to everyone else! You’ll get to meet characters and go on rides without the long queues. 7. Or if your on a budget, consider staying at an off site hotel – Disney hotels can be expensive, but don’t worry! There are plenty of lovely off site hotels close to Disney such as Vienna house dream castle which is a great choice if you are going with children or Relais Spa Val d’Europe which is an adults only spa hotel. We’ve stayed at Relais Spa twice and I highly recommend it. It has a lovely indoor pool and a spa which was perfect after a long day at Disney. It also has a free shuttle to Disneyland and its location is brilliant. There are plenty of other off site hotels which you can find on expedia or booking.com for really good prices. 8. Download the Disneyland Paris app – This app is so helpful and it’s a must for visiting Disneyland Paris. With this helpful app you can check wait times for rides and character meet and greats, see daily schedules for the parade and Disney illuminations show and much more. It’s super handy! Honestly, this app made our trip so much easier. 9. Plan ahead – You can look up parade times and shows before you travel on the website. 10. 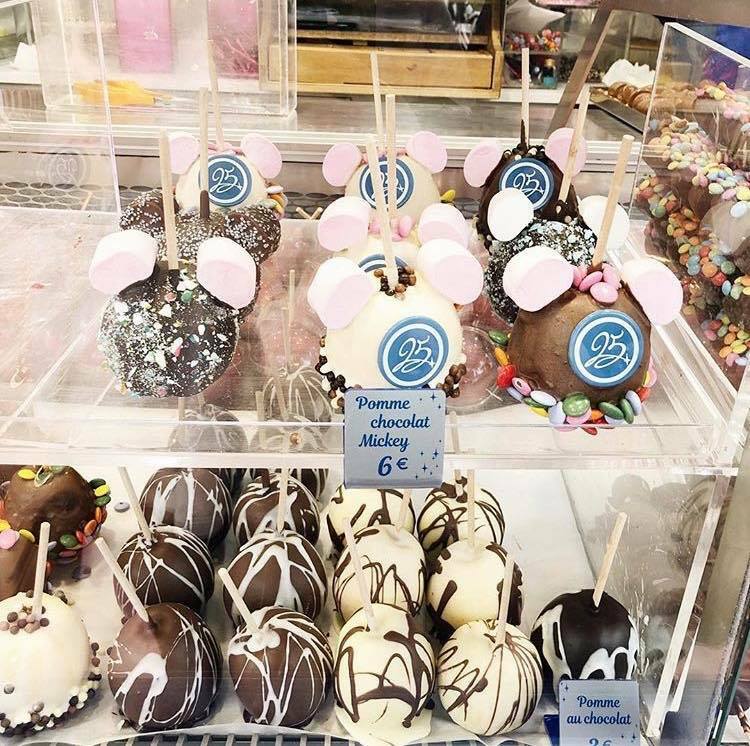 Character meals – If you want to go all out on your Disneyland trip, book a character meal for the ultimate Disney experience. Cafe Mickey is a great option, its pretty pricey but its totally worth it! 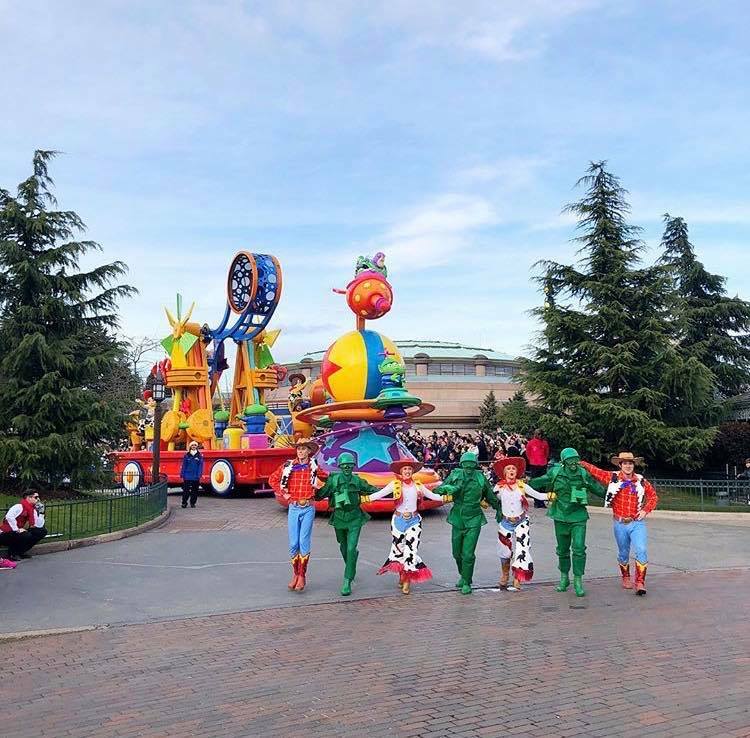 And those are my top 10 tips for visiting Disneyland Paris! If any of you are planning on going to Disneyland Paris soon, I hope you have the most magical time. I love Disneyland (well, I mean who doesn’t!?). These tips are super simple yet extremely helpful tips that can make the trip 100x better.